Sometimes there are certain food that never fades away from childhood to adulthood, and this is one certainly one of the them. 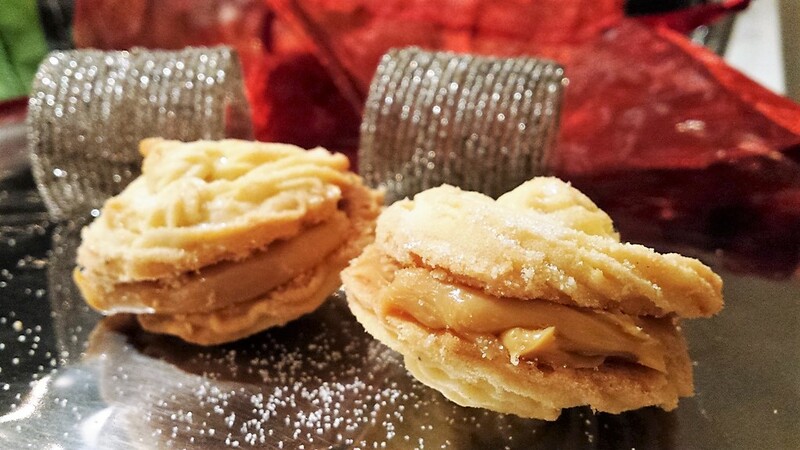 Since little I have always liked these little biscuits “biscuit champagne”– Viennese Biscuits. I remember mum buying little individual packs for our school pack lunch. 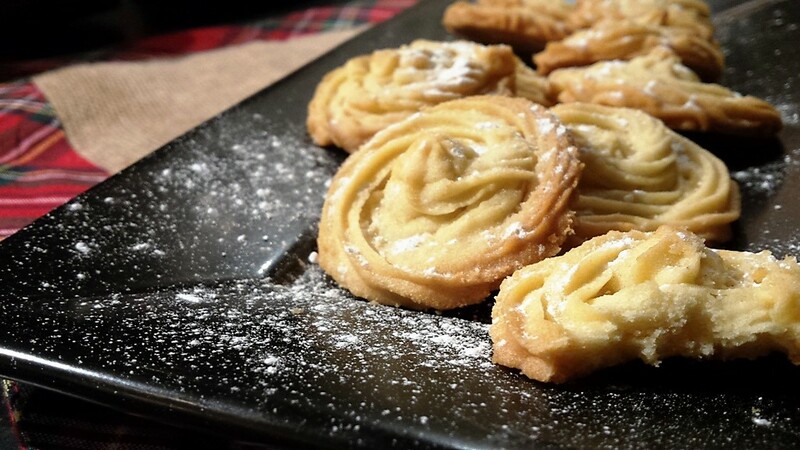 These delicious biscuits are very soft, melt in the mouth kind of similar to short shortbread biscuits. 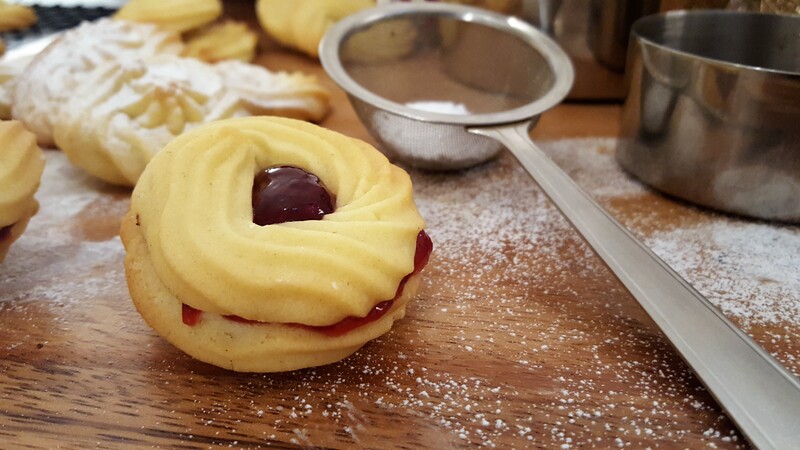 The texture is like velvet, rich and buttery and together with the sandwich filling these biscuits are moreish and extremely delicious. I have made these few times over the Christmas period; I have not bought any biscuits from the shop this year, apart from those gifted to me. Like most food homemade food always tastes better and with these you can choose the filling you want them or even have them plain as you wish. If you do decide to try them out, I have included a few filling option below, from which you can choose. Preheat the oven to 190C/170C (fan)/Gas 5. Line a baking sheet with greaseproof paper. 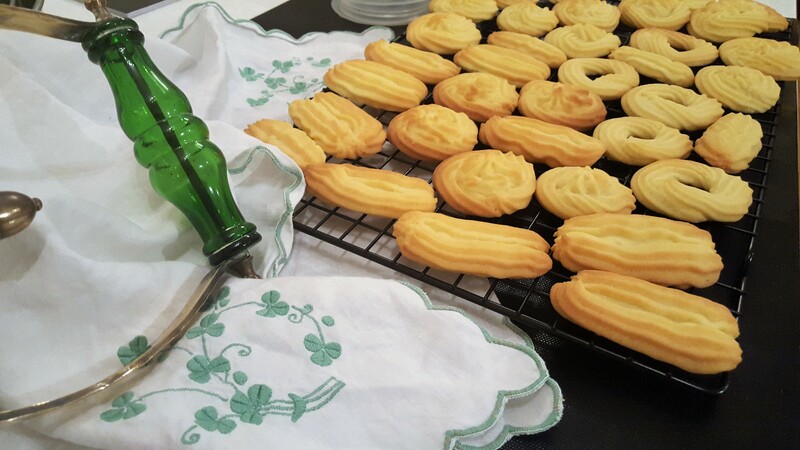 Prepare a piping bag with a 6.5cm star nozzle. Put the butter, icing sugar vanilla extract in a mixing bowl. Using a handheld electric whisk until smooth. In a separate bowl sift the flour, cornflour. 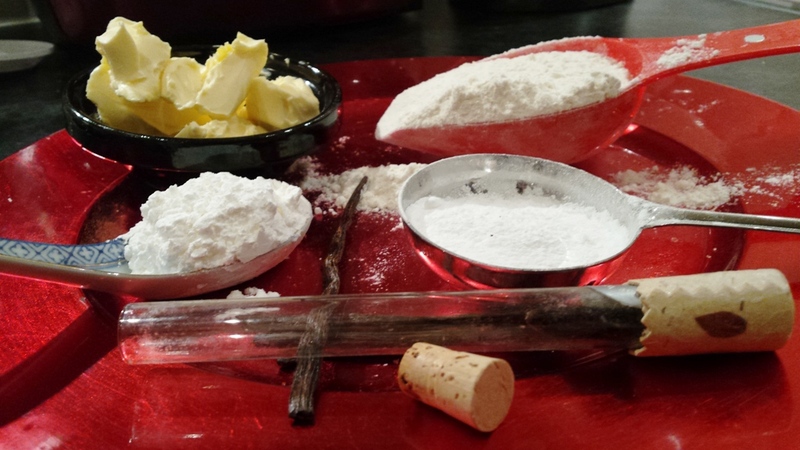 Add to the creamed sugar and butter mix, whisk to the smooth dough. Spoon the dough into a piping bag fitted with a large star nozzle. 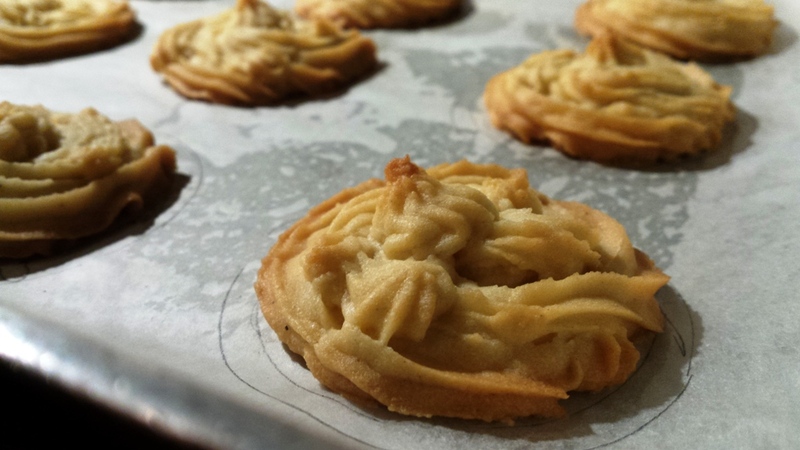 Pipe onto the baking tray into rosettes or into fingers, spacing well apart. Bake in the centre of the oven for 10-13 minutes or until pale golden-brown and firm. Cool on the baking tray for five minutes then transfer to a cooling rack. 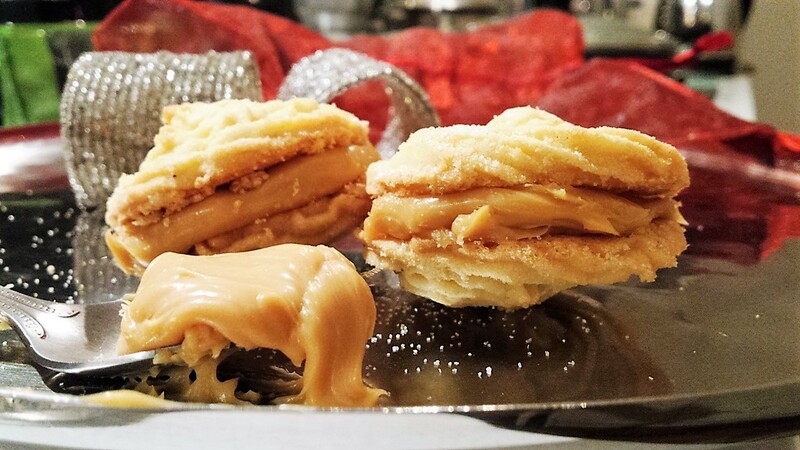 For the filling, I have simply filled these little biscuits with salted caramel. 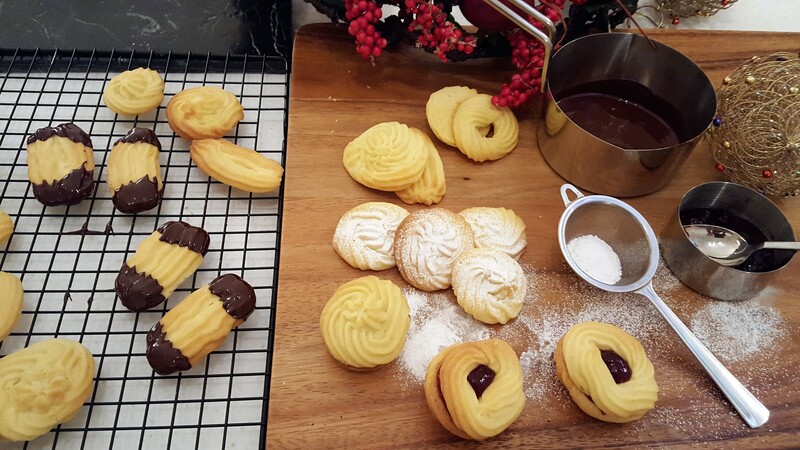 Other alternative is to make a vanilla buttercream and spread in between to sandwich the biscuits. For the chocolate lover dip the finger ends in a chocolate sauce, place on a wire rack and leave to set. 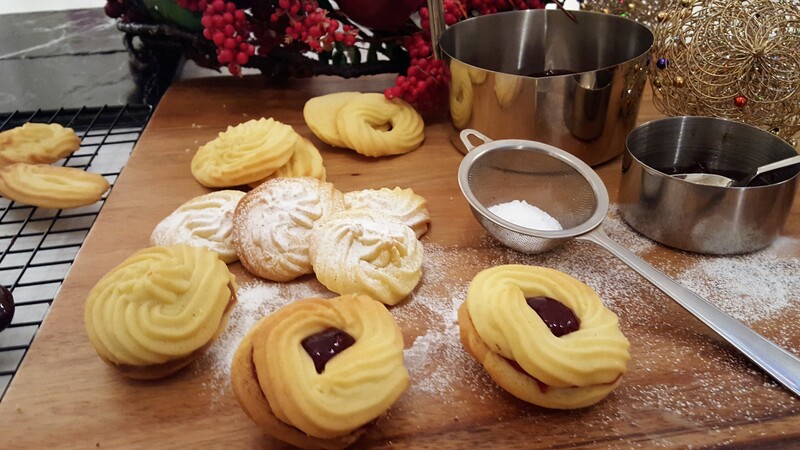 For those who do not like any of the above, these little Viennese can be enjoyed plain without any fillings. 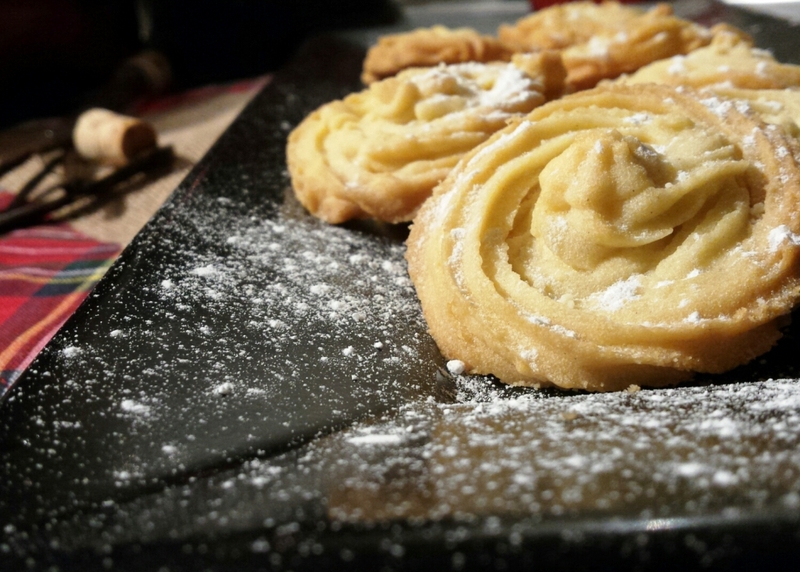 Sprinkle with icing sugar (optional) and serve. 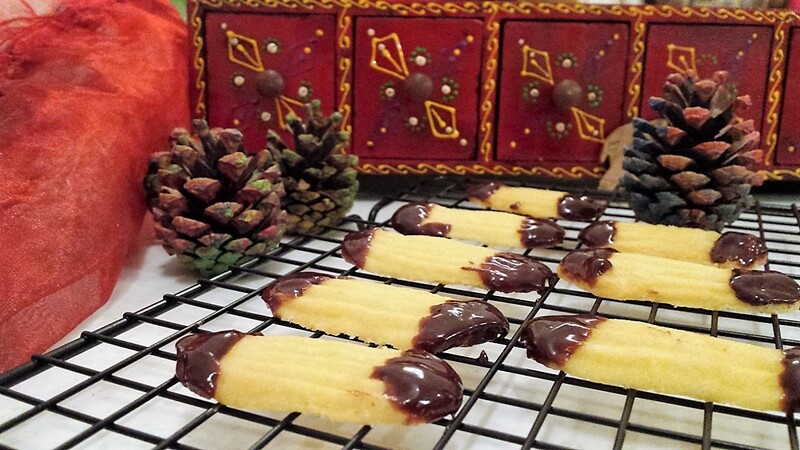 Brinda’s Note: These biscuits will keep well in an airtight jar, perfect accompaniment with a cup of tea. Tips: In order to get same size rosette, trace the circles on your greaseproof paper using a round cutter. 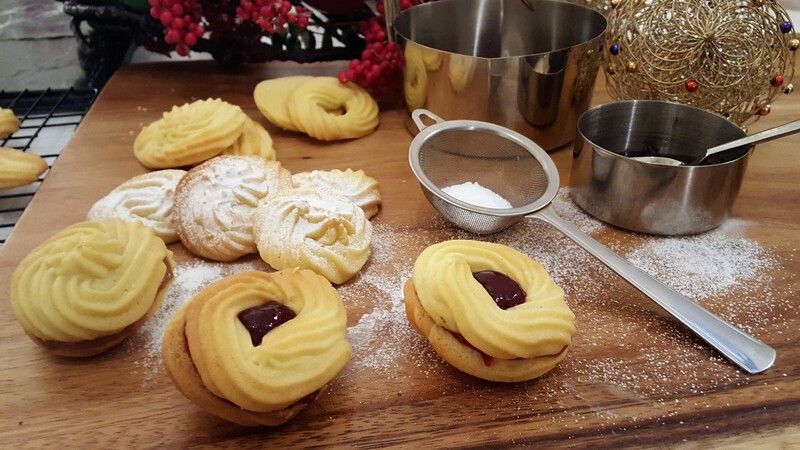 When your start piping use the shape drawn as a guide to get the same size of biscuits.